Have you found yourself wishing you could have a straighter smile, but have always avoided orthodontic treatment because of the thought of traditional metal braces? We hear that a lot and the good news is, we have an answer. At Adams Dental Associates, Drs. Kosta and Kristen Adams offer patients Invisalign. Invisalign is an alternative to traditional orthodontic braces that uses invisible aligners instead of brackets and wires. If you are in the Sacramento area, we invite you to call us at (916) 999-1302 to learn about the many benefits of Invisalign. Invisalign is a method of straightening teeth that uses a series of clear plastic trays. The trays are made from a comfortable, BPA-free plastic and are custom designed to your mouth in order to move teeth into a more desirable position. One of the things patients love most about Invisalign is that the trays are removable. While it’s important to wear them a minimum of 20 hours each day, patients can feel free to remove the trays for eating and oral hygiene. Every few weeks patients will swap out the aligners for a new set and admire how their teeth are gradually becoming straighter. You can enjoy all our favorite foods. Getting traditional braces means having to avoid a lot of the foods your love. This simply isn’t the case with Invisalign. Because the trays are removable, you can take them off to eat what you love, just make sure to clean your teeth well before replacing the trays. So, go ahead, indulge in that popcorn! Treatment is discreet. Because the aligners are made from clear plastic, they are virtually invisible. Many people will not even notice that you are undergoing orthodontic treatment. Improved oral health during treatment. Cleaning around metal brackets and wires can be tricky, leading to an increase in decay during traditional orthodontic treatment. Because you can remove the clear aligners, you can maintain good oral hygiene. Faster results. Invisalign straightening is generally much faster than traditional braces. There are fewer visits to the office during treatment and the entire process is usually completed in 12-18 months. As Invisalign begins to rise in popularity, more and more people are asking, “Is Invisalign right for me?” While the treatment has become recognized as one of the fastest and most comfortable ways to fix orthodontic issues, it isn’t for everyone. While the only way to determine if you are a candidate for Invisalign is to schedule a consultation at our Sacramento office, you can ask yourself the following questions to help decide. How severe is my issue? This is the biggest factor in determining your candidacy for Invisalign. Certain issues such as large overbites may just be too severe for Invisalign. In most cases, Invisalign can correct mild to moderate issues such as crowding, gaps, overbite, underbite, and crossbite. Children and young teenagers are typically not the best candidates for Invisalign. This is because teeth are still growing and moving. However, older teenager and adults make great candidates for Invisalign. Are you committed to wearing the aligners? The allure of removable, invisible aligners is what draws many people to Invisalign, but patients need to be prepared to wear the trays 20-22 hours each day. Additionally, patients need to be aware that retainer will be needed following treatment. Without compliance, the treatment will not be as effective, and teeth can shift back into their previous location. If you are a teen or adult who believes that you are a good candidate for Invisalign, only an evaluation by a trained professional can determine if Invisalign is the best method of orthodontic treatment for you. To schedule your assessment with Drs. Kosta or Kirsten Adams, please call our Sacramento office today at (916) 999-1302. 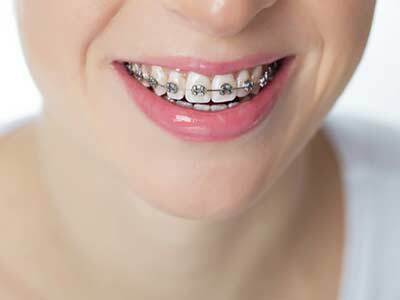 Your path to a straighter smile begins at Adams Dental Associates. .
Can Sacramento area patients obtain transparent braces? Woke up with a horribly infected tooth on Friday morning. I had not established a relationship with a dentist since moving to Sacramento. Googled emergency dentists and was incredibly fortunate to find Dr. Adams listing. Called them on a Friday afternoon as a new patient and was seen within an hour!!! Two teeth had to be pulled. Dr Adams and Dr Kristen were awesome. I didn't feel a thing....teeth were out quickly and painlessly. Everyone there is incredibly sweet and caring. Everything is spotless and clean - could not have asked for a better experience. I have found my forever Dentist. They have cared for my teeth for 20+ years. Always warm and very trustworthy. I'd like to share my most recent visit, since it reflects the quality of care they have always provided. So my front tooth had a chipped bottom and my back tooth had a broken filling. First off, he fixed the broken filling without a problem. Next, Dr. Adams walked me through the options we had for the chipped tooth. I asked various questions to address my concerns. His explanations were comforting. For both my teeth issues, he gave me a full idea of what to expect. In the end, both teeth were cared for and function just fine now. No more worrying! I feel comfortable trusting him with caring for my teeth. Like always had a great experience with Dr Adams and Dr Adams. Had two fillings done and was in and out in just over an hour, I liked how they took the time to explain the whole procedure to me and answered all my questions about my teeth. I also enjoyed their good background music. The staff was very friendly and helpful in answering all my billing questions and setting up my next appointment. See you guys next time!! Q: How Do I Choose the Right Dentist for me? Q: How Much Pain will I have with Dental Implants? © Copyrights 2019 Kosta J. Adams, DDS MAGD FICOI / Kristen J. Adams, DDS. All rights reserved.